Happy Wednesday, friends and happy Halloween! Do you have big plans tonight? We are hosting a bunch of our neighborhood friends for pre trick or treating pizza and cocktails! We can’t wait! However, we are supposed to have some crazy rainstorms coming in (again this year! ), so I’m not sure how much trick or treating we’ll get in! We shall see! 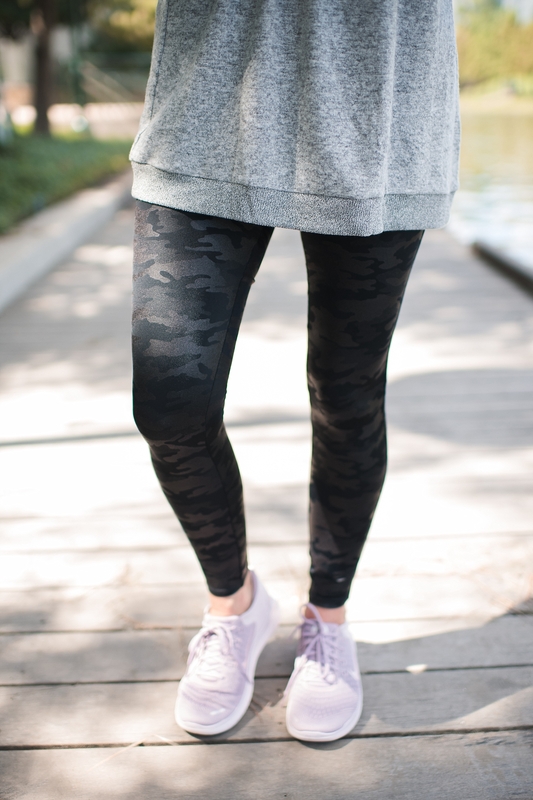 Leggings are one of my favorite things to wear in the fall and winter and let’s be honest, all year around! I’m so in love with my Spanx leggings and I just can’t stop wearing them. Not only are they adorable, but they are extremely comfortable! I truly love them and I really enjoy finding numerous ways to wear them! 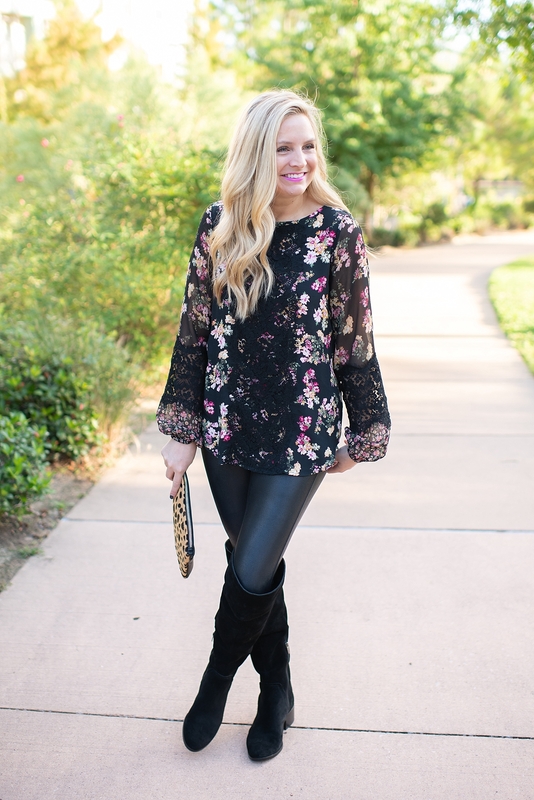 Today, I’m excited to share a few different ways to style my favorite Spanx leggings for fall! First up, let’s chat about these amazing SPANX DENIM LEGGINGS! Don’t you love them? They fit amazing and hello, elastic waist! Next up, let’s get ready for date night or a night out with the girls! Grab your faux leather leggings and pair them with a fun top and some fabulous over the knee boots and you are set for a night out! This cute fakeout look is my favorite one that I’ve worn lately! 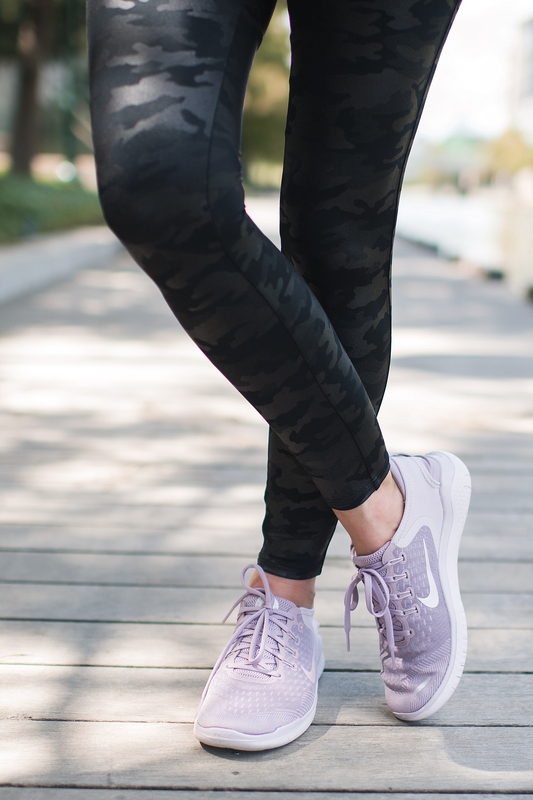 These leggings are a total must and while you can dress them down, they are also cute dressed up with booties and a sweater! This is one of my favorite looks as of recently. They are total fall essentials and all pieces can be worn together or separate. Here’s another fun way to wear these faux leather leggings. They are so fun and I seriously love them! I can’t quit wearing them!! 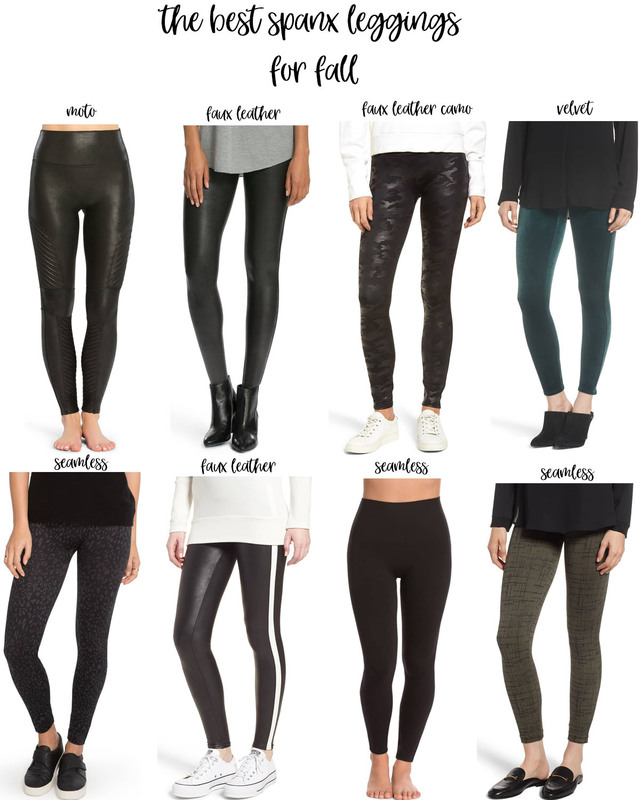 Which is your favorite way to wear Spanx leggings this fall? Loving this Fall leggins roundup? 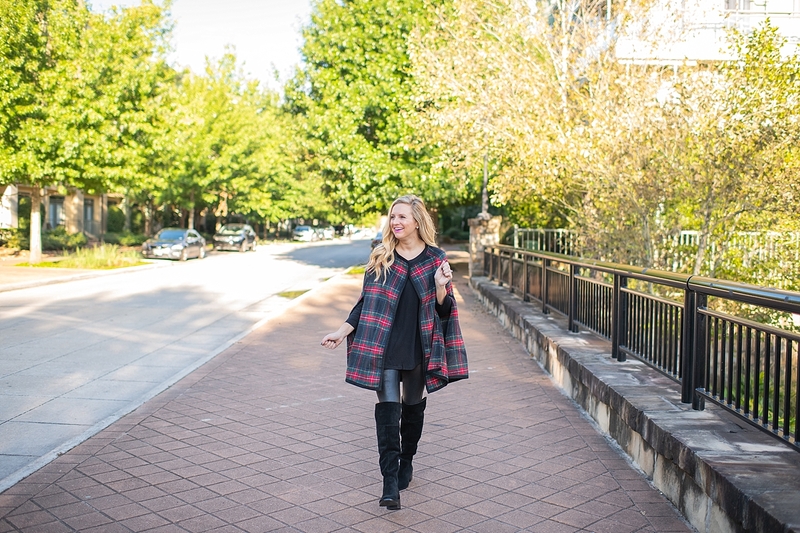 Click here now for more of my favorite Fall style! PS if you missed Monday’s post featuring the new Gibson x Living in Yellow Collaboration, see it HERE! 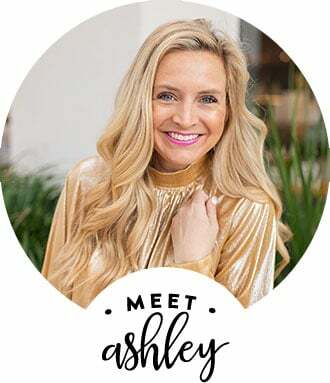 Shop my faves from the collection below!